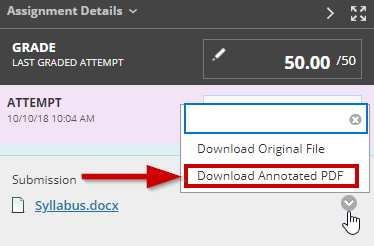 Blackboard recently introduced a new feature where instructors and students can download annotated PDFs of assignments graded in the inline box view. 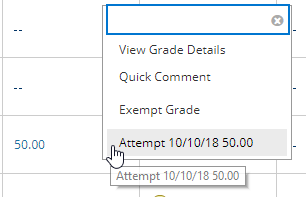 This way you can keep a personal record of all the comments you've made on a graded student assignment. Note: These are the directions from an Instructor point-of-view. For student instructions, visit the Student FAQ. 1. Open a student submission by going to the "Full Grade Center", or by clicking on the "Needs Grading" section under the Course Management sidebar menu. 2. 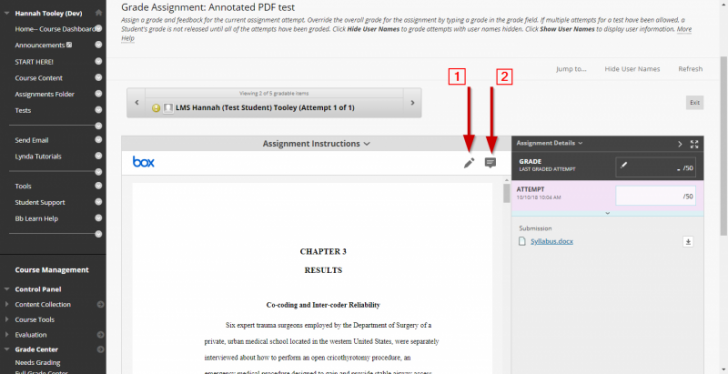 Once you have opened a student assignment, you have 2 different options of commenting. The pencil icon (1) lets you draw freehand, while the speech bubble icon (2) lets you type out a comment at a particular point in the submission. Make sure you are clicking "Post" or "Save" after drawing/typing your comments. 3. Make sure you have given the student a grade and click "Submit"
1. Open the "Full Grade Center" from the “Course Management” sidebar. Navigate to the student's grade in the correct grading column. 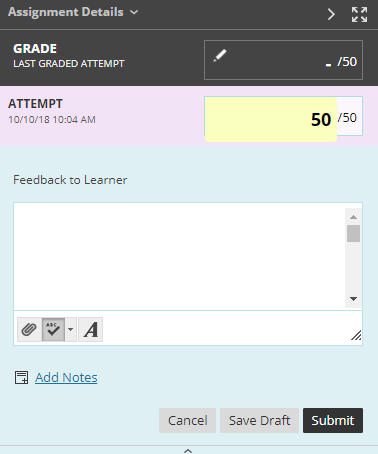 When you hover over a student's grade, you should see a small gray triangle. Click on that to open more menu options. Then, click on "Attempt". 2. Underneath the grade, you will see the name of the file the student submitted. 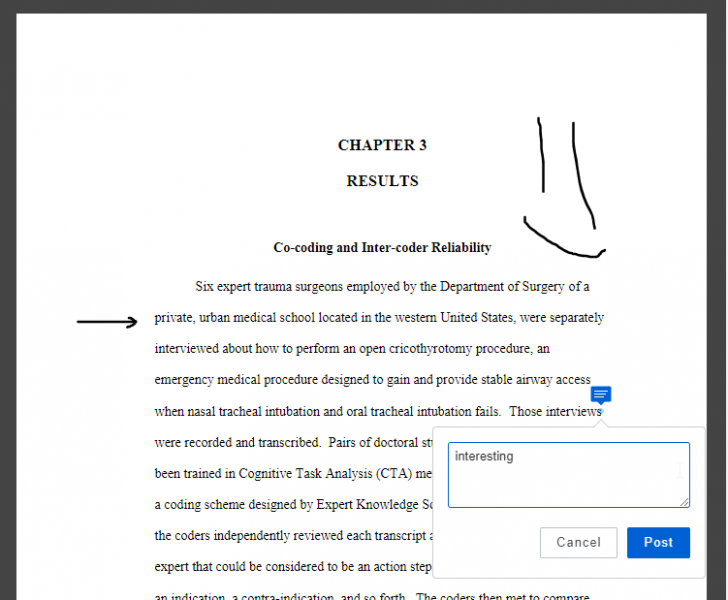 Click on the small gray triangle next to the file to open more menu options and click on "Download Annotated PDF". Note: After the file has downloaded, open the PDF in Adobe Acrobat Reader/Pro to see all comments and drawings.